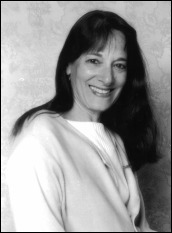 New York-based director Pamela Berlin has worked extensively in the development of new plays and is an acclaimed director in regional theatre and opera. New York directing credits include Endpapers at the Variety Arts Theatre, Steel Magnolias, which ran for three years off-Broadway at the Lucille Lortel Theatre, To Gillian, on her 37th Birthday ( Ensemble Studio Theatre and Circle in the Square downtown), The Cemetery Club (Broadway), Crossing Delancey and The Adjustment (Jewish Repertory Theatre), Joined at the Head and Pretty Fire (Manhattan Theatre Club), The Family of Mann and The Red Address (Second Stage), Three in the Back, Two in the Head (MCC), Black Ink and Elm Circle (Playwrights Horizons), Snowing at Delphi and Club Soda (WPA), Vita and Virginia (the Zipper Theatre), Winners, Close Ties. Outside New York, she has directed at the Kennedy Center, Seattle Rep, Long Wharf, Huntington, Pittsburgh Public, Pasadena Playhouse and Portland Stage, among others. ​Opera credits include Eugene Onegin, La Traviata, Rigoletto, Madame Butterfly, Lucia di Lammermoor, A MIDSUMMER NIGHT’S DREAM,A Midsummer Night's Dream,Cold Sassy Tree, and Of Mice and Men at the Vancouver Opera, Utah Opera, Lyric Opera of Kansas City, Opera Omaha, and Leonard Bernstein’s Mass and the world premiere of Pocahontas with the Virginia Arts Festival. She has directed at the Juilliard School and New York University’s MFA Acting Programs, and taught directing and acting in the MFA program at the Mason Gross School of the Arts at Rutgers University and at Brooklyn College. She has participated in the Sundance Theatre Institute, New York Theatre Workshop Summer Program, Cape Cod Theatre Project and Theatreworks Palo Alto New Plays Series. For six years Pam served as the President of the Stage Directors and Choreographers Society.